Desiring to help train persons to become pastors, he completed his Ph.D. in Sociology of Religion and Social Ethics at the Boston University School of Theology in 1969 and over the next 25 years served on the faculty of the United Theological College, Bangalore under the sponsorship of The United Methodist Board of Global Ministries (GBOGM) where he helped to train students at the B.D., M.Th. and D.Th levels. His published writings include Christian Ethics, An Introductory Reader, The Christian Clergy in India, Vol. 1, Social Structure and Social Roles, and Manual for Researchers and Writers. His book Manual for Researchers and Writers is well received by students in India. 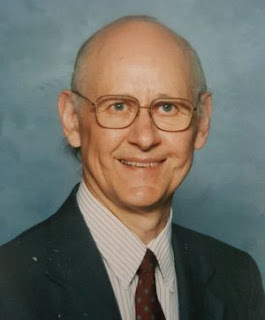 After his retirement from the GBOGM in 1996, he devoted much of his time and energy to voluntarism – he was one of the founders of the Virginia Chapter of the Methodist Federation for Social Justice and of the Augusta Coalition for Peace and Justice; participated actively in other social justice established organizations such as Virginians for Alternatives to the Death Penalty and Virginia Organizing and initiated actions on issues such as restoration of voting rights and opening of job opportunities to ex-felons who have paid their debt to society. He is survived by his sister, Marie Lowe, wife Dr. Esther Galima Mabry; son, Philip of Waynesboro; and daughter, Ruth of Oman; along with son-in-law, Abdulrahim Al-Bahlani; and grandchildren, Malik and Zakaria. The NCCI community thanks God for his life, ministry and immense contribution to theological formation and the ecumenical movement in India and around the world.